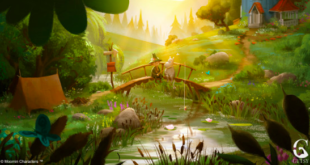 Moominvalley, airing on Sky late next year, will bring the characters from the award-winning author Tove Jansson’s classic books to life. Inspired by the artwork of Tove Jansson, Moomins continues to delight the art and design scene. 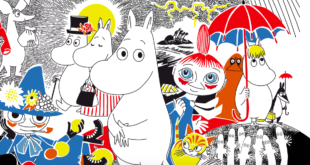 But with movies and a new TV series in the works, Bulls Licensing's Gustav Melin talks us through the future of the Moomins. There will also be a brand new Moomin puppet musical for children, developed specifically for the Japanese market. "We will bring publishing rights to an international arena, while building the potential for licensing, merchandising and full-scale digital presence worldwide." The project has tapped academy award winner and man behind Wallace and Gromit: The Curse of the Were-Rabbit, Steve Box to direct. 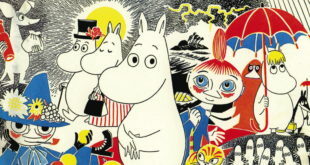 Uplift in sales of officially licensed products have helped take global revenue for Moomin lines to almost €600 million. The first title in the range, The Moomin Colouring Book, will be published in paperback in February and priced at £10. Having opened its doors on November 6th, the new store marks the first of its kind on the American continent. The Moomins may be 70 years old, but with a new TV series and film in the works and a renewed focus on the UK, it's feeling as fresh as ever. 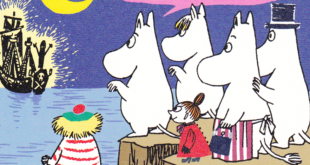 We talk to Moomins Characters and Bulls Licensing about the ever growing world of The Moomins.